For wine lovers, living in Andorra is a paradise, as Andorra is situated between two great wine-producing countries, Spain and France. There are literally almost 1,000 wines which can be purchased in Andorra and if this is not enough, there are countless wines available in Toulouse and Barcelona. It is also within an easy day’s drive to visit the regions of Bordeaux and La Rioja. The Wine Tasting Group has been active almost since the commencement of the Club – but now is lacking an active coordinator and is reduced to one small wine tasting event a year. Marie-Aude and Gilles who played host to our Wine & Tapas evening in 2016 were please to organise a second event in February 2018. For those who did not attend the first event (and approximately 7.6 billion people on Earth could not make it), as you may have guessed, the evening has two major components wine, and yes, tapas. Each guest brought a bottle of wine or a Tapa. Guests then had the opportunity to present their wine, explaining the reason for their choice. Red, white, rosé, bubbles, country of origin, it did not matter, as long as they were good and the story was enjoyable. We thought that a maximum of €15 for a bottle would suffice. 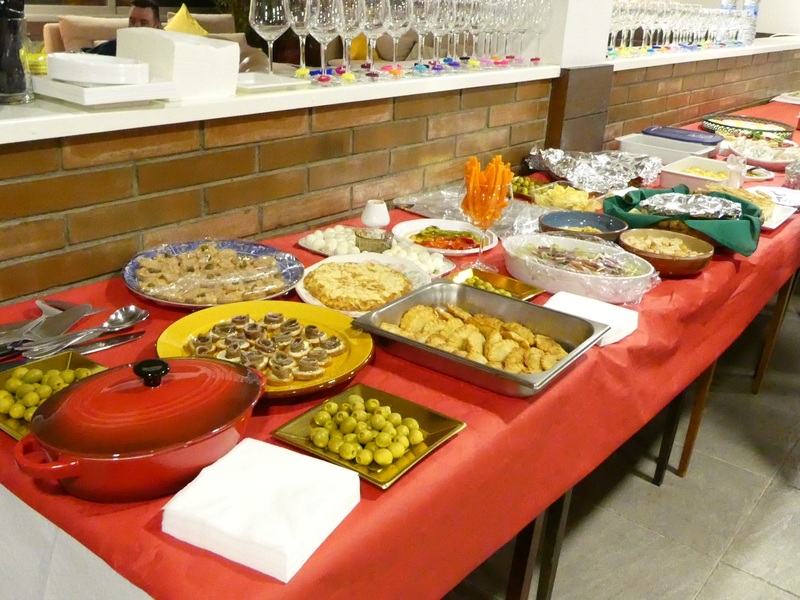 As for the tapas, basically it was finger food that could be eaten using fingers or a fork. A tapa could be sweet or Savory, of Spanish origin, or not. Again, it did not matter as long as it was palatable and easy to share. Each tapa provided was to be the equivalent in size to an individual main dish during a dinner, thus everyone would be able to try several tapas. If you love wine and are willing to try to help start a small wine tasting group that would meet regularly, please do contact John Pinnell who will help you meet other wine buffs and (hopefully) start us off again.